current position: home » company » Yafeiya Eco-Tech LTD.
Guangzhou Yafeiya Eco-Tech LTD. was set up in 2017. It’s an incorporate enterprise for export trade and a factory for recycling and reusing used clothes. 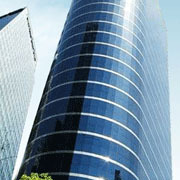 It locates in new Huilian non-woven industrial park at 6 on Shanqian street in Huadu in Guangzhou.